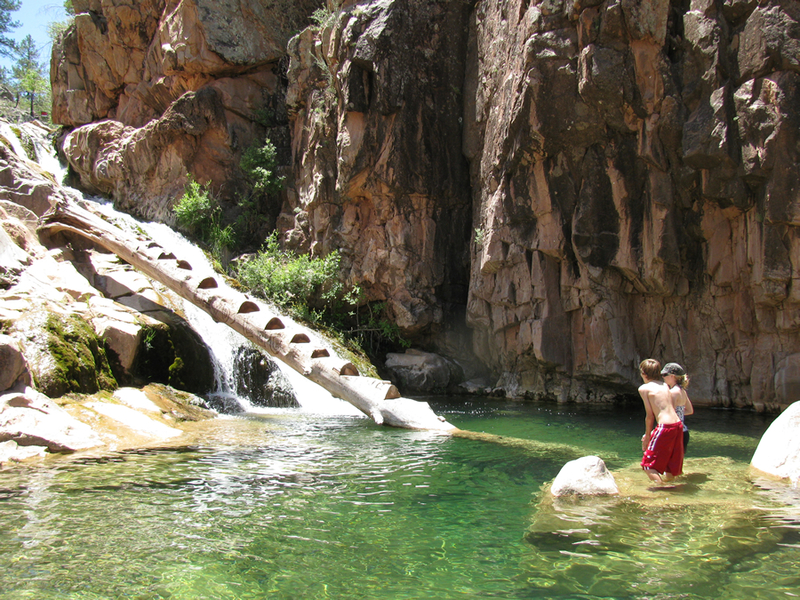 When Summer hits in Arizona and you can fry an egg on the sidewalk, it's time to throw on a swimsuit, pack up a picnic lunch, load up the car with the kids and head to some of the best swimming holes in Arizona. 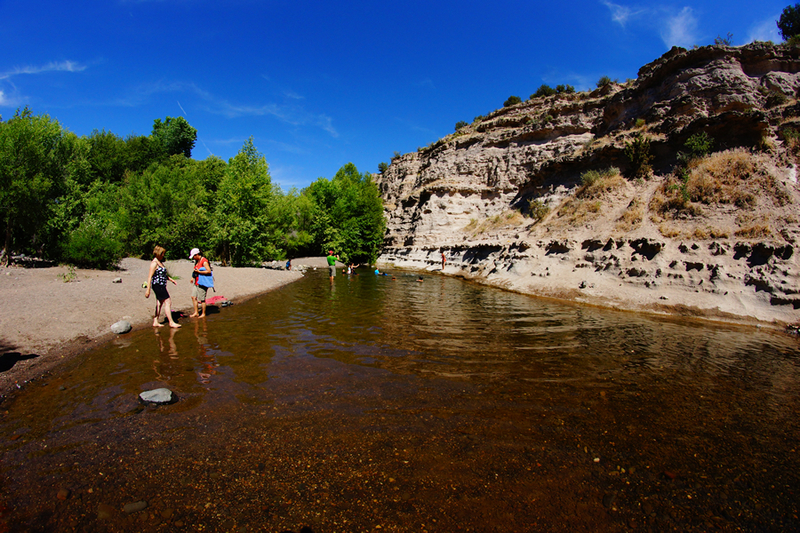 Clear Creek east of Camp Verde offers a cool respite from the valley heat. A nice deep pool and almost perfect jumping cliff make this a great spot that is nice and shady. A relatively easy 3.5 mile hike back to an awesome cliff jumping swimming hole. 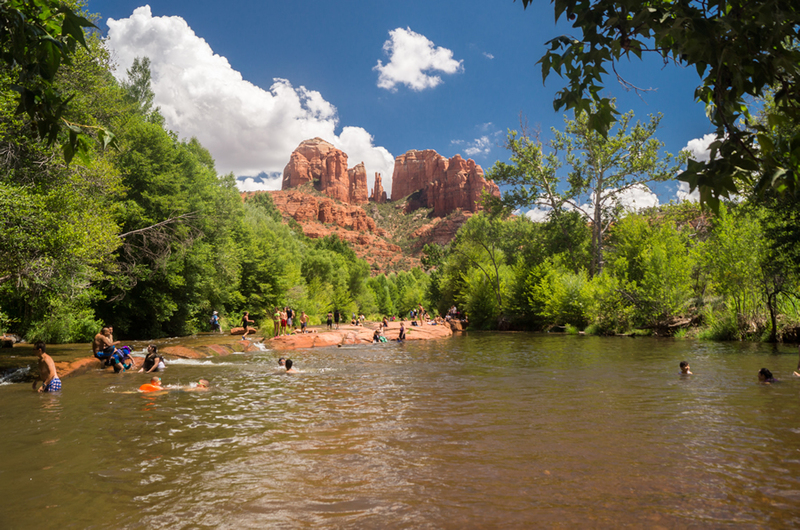 Enjoy the cool water of Oak Creek with Cathedral Rock as a backdrop. 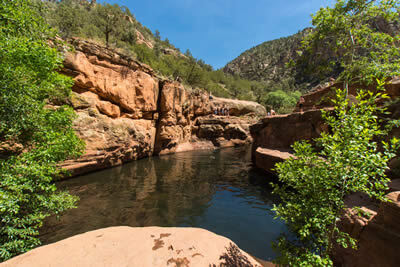 This easy to get to Swimming hole is not as busy as Slide Rock State Park but as easy to get to. 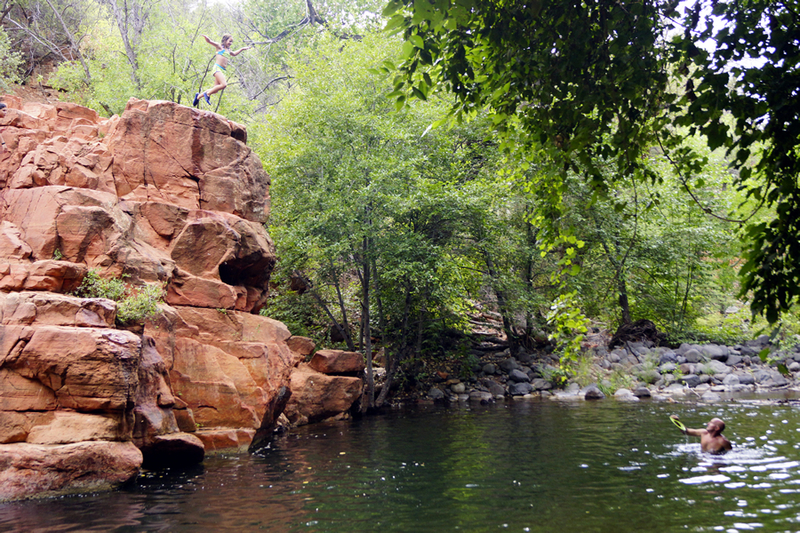 West Clear Creek is a fun stop near Camp Verde located in central Arizona. 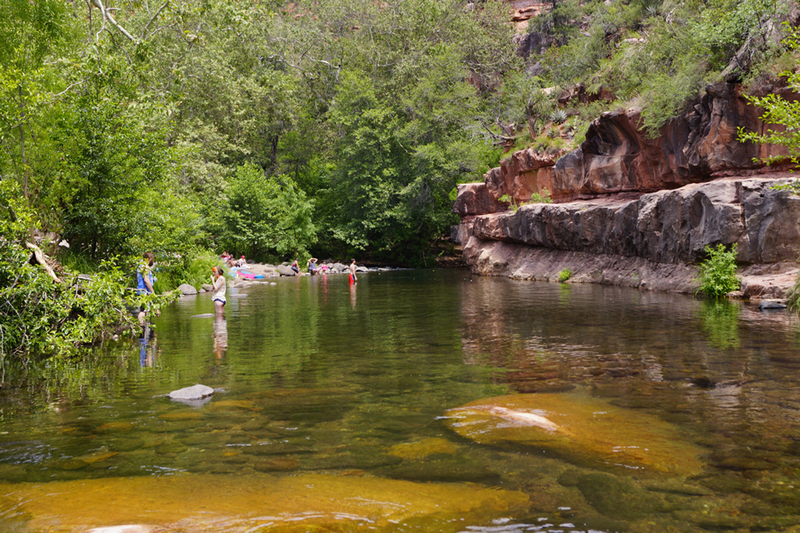 Although it can't match nearby Fossil Springs, Slide Rock State Park or Grasshopper Point for sheer beauty, the water temperature is perfect in early summer and it is easy to get to. 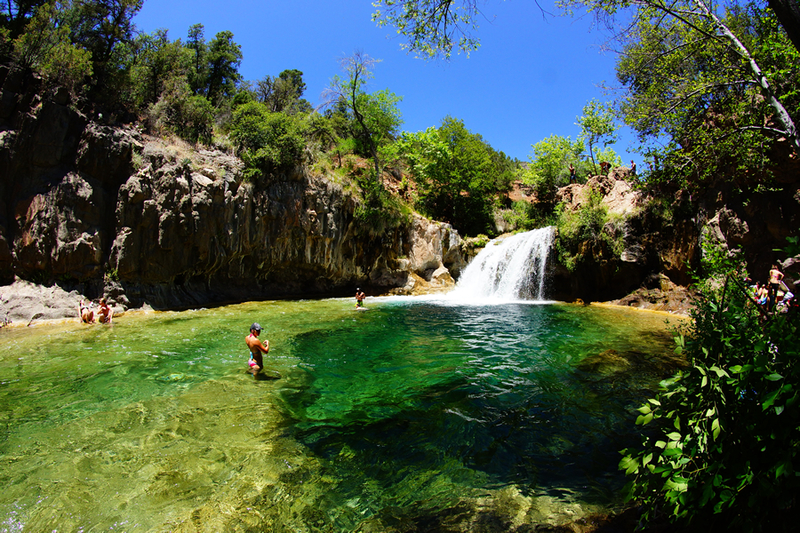 Maybe the clearest water anywhere, Fossil Creek is one outstanding swimming hole with a 25 foot cliff jump to boot. The road in is a bit rough, but worth the trip. An eleven mile hike leads you to an oasis in the desert. This swimming hole was once voted America's best swimming hole by Life Magazine. A must for everyone's bucket list. 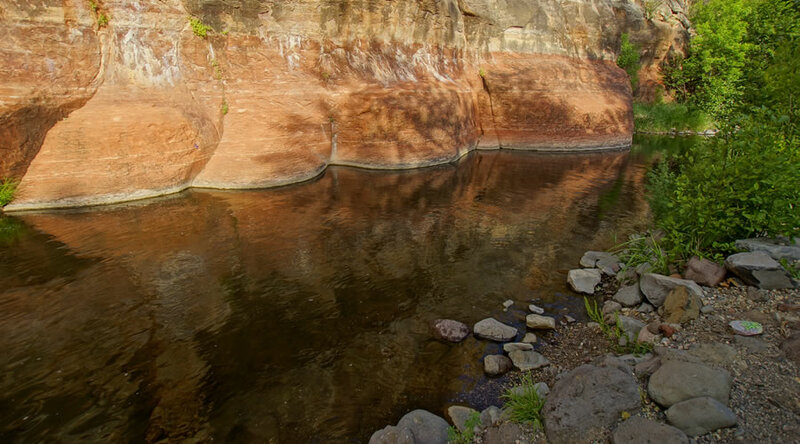 Ellison creek is tucked between Payson and the Mogollon Rim. The water at Ellison Creek is cold but inviting. This is a great day trip from Phoenix or Flagstaff. Grasshopper Point is not as popular as it's upstream rival Slide Rock State Park, but it still packs a punch when it comes to fun. Several Cliffs of varying heights and some nice shady spots also. 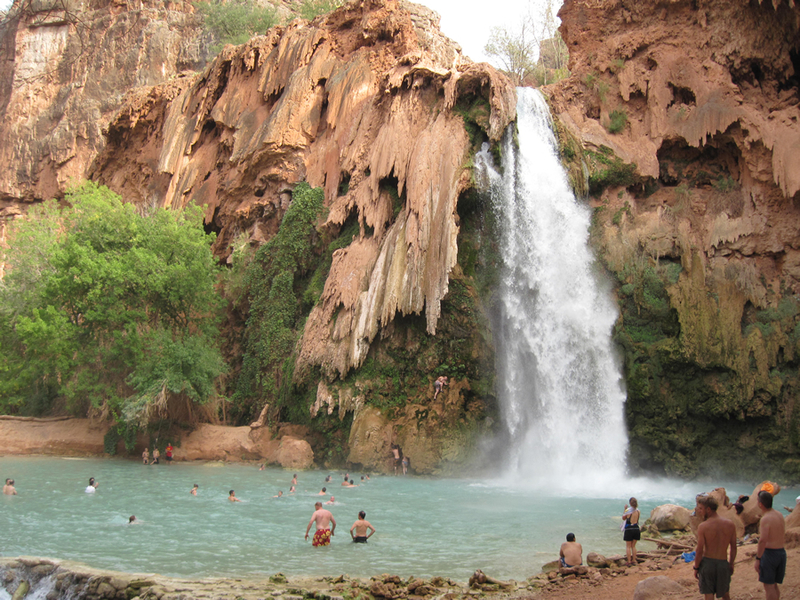 Arizona's most popular swimming hole. Crowds here can reach epic proportions. Get here early to claim your spot. This natural slide is a blast for the kids and adults. 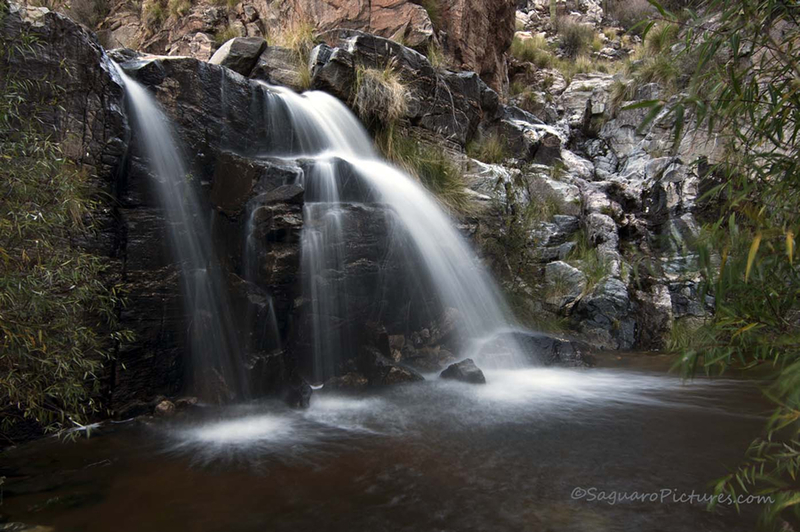 Tucked into the Bear Canyon region of Sabino Canyon just outside of Tucson, is one of Southern Arizona's best swimming holes, Seven Falls. 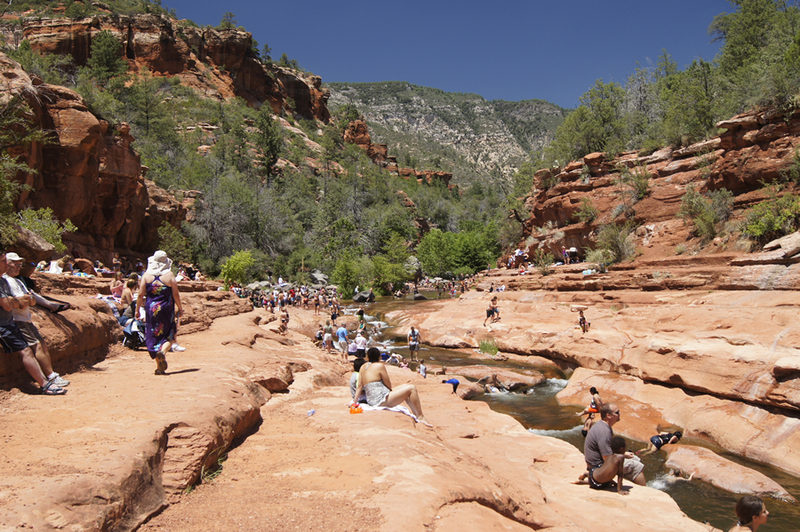 Slide rock and Grasshopper full when you get to Oak Creek? Head to Encinoso and enjoy a nice quiet swimming hole. There are some great swimming holes that we don't have yet. Let us know what we're missing.